Did you know, that bone is a metabolically active tissue? This means that old bone is broken down, and new bone is made by our bodies throughout our lives. Our bone density depletes as we age, and this is made worse if we don’t look after them. So how can we keep our bones in good health? The right foods – including calcium rich dairy foods like milk, cheese and yoghurt can help. As well, getting an adequate amount of Vitamin D is essential. Thirdly, the way we exercise can also help. We examine how to maximise bone health, in the last article in our series on calcium. 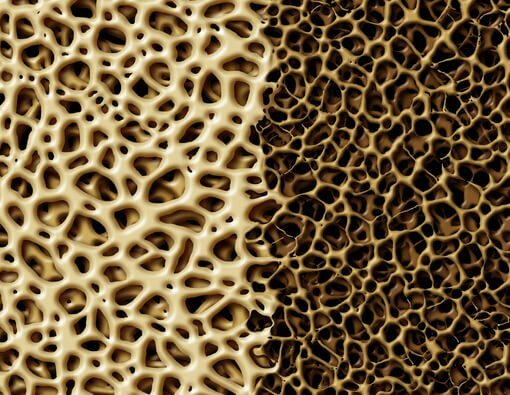 What happens if we don’t have good bone density? As we get older, our bones go through the process of breaking down more rapidly than they rebuild. When we lose too much bone density, we can develop a condition called osteoporosis, which causes weak bones. This means our bones become brittle and can break easily, including major bones like our hips and spine. According to Osteoporosis Australia, the disease impacts over 1 million Australians. Medical history – certain conditions and medications can impact bone health. Lifestyle – including low exercise levels, smoking, alcohol, and being excessively under or overweight. Ensuring you have adequate calcium intake is something you can implement at any age, and can have a positive impact throughout your life on your general health as well as the health of your bones as you age. In our article, Why is Calcium Important? we examined why this mineral is so crucial for your health. It has a role in not only bone health, but a host of other important functions for the body. Dairy food is an easily absorbed and high source of calcium. You can find more info on the benefits of dairy calcium in our article Why Eat Dairy Foods for Calcium? Vitamin D is essential for bone health, because it assists in the absorption of calcium, regulates levels in your blood and assists to strengthen bone. What is the main source of Vitamin D? The sun! According to Jean Hailes, the body’s main source of Vitamin D comes from the skin being exposed to UV radiation in sunlight. Even though Australia has one of the highest UV radiation levels in the world and is well known for its abundance of sunshine, research has found many people are deficient in vitamin D because of the amount of time they spend indoors. Participating regularly in weight-bearing and resistance exercise has shown to have a significant positive impact on bone density. Brisbane’s Bone Clinic is a clinic dedicated to programs and research for osteoporosis treatment and prevention. It is the first of its kind in the world. Their research has found that weight training is crucial to bone density. A recent strength-based exercise program shows impressive results. 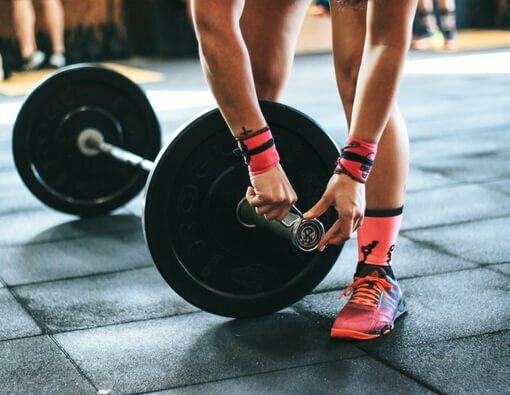 Weight training is reducing fracture risk by 95 percent in participants with osteoporosis, and building new bone. They argue that this method is better than osteoporosis medication and has actually reversed the condition in some women. Bone density peaks in your 20’s and 30’s so looking after bones as they grow can have lifelong results. Once we hit this age, it is important to slow bone loss, and as we reach our later years, its crucial. So really, it is never too early or too late to start looking after your bones with a high calcium intake with good levels of Vitamin D and regular resistance training! Follow Olympus Cheese on Facebook or find us on Instagram. Share in more info like this about calcium, dairy, and of course, all things cheeeeese!